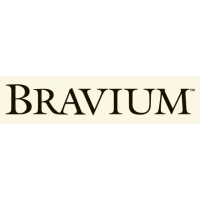 Bravium translates from Latin as “reward, prize, or gift.” Proprietor and Winemaker Derek Rohlffs founded Bravium in 2007 to produce terroir-driven Pinot Noir and Chardonnay from Anderson Valley, Carneros, Mendocino Ridge, Santa Cruz Mountains, and Sonoma Coast vineyards. Special attention is given to its mountainside plantings. Bravium focuses on growing and harvesting balanced grapes in these unique, cool climate sites. In the winery, a ‘less is more’ approach is emphasized and simple, traditional winemaking methods are consistently employed. Invigorating acidity is the hallmark of Bravium wines, making them good at the table and capable of aging longer than most California Pinot Noir and Chardonnay. Bravuim is one of several producers at the wine collective at Treasure Island Wines. Tastings are typically a selection from multiple wineries.